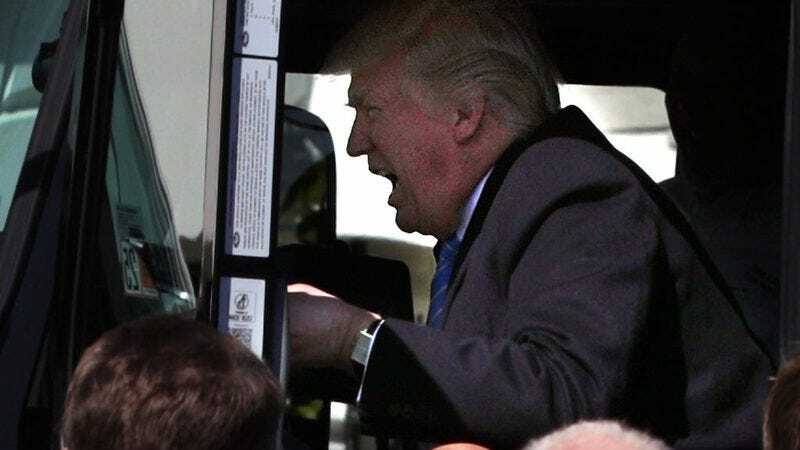 Yes, the president will be returning to the high point of his brief, troubled presidency—that is, the time he was a good enough boy to sit in a big truck and pretend to be a truck driver. Will he don a fireman’s hat today or get to hold the big fire hose? Will his handlers look on happily as the commander-in-chief sits in a forklift, pretending to be a man who has ever worked a day in his life? We will follow the story and update this post accordingly. Update: First he tried a fire truck!